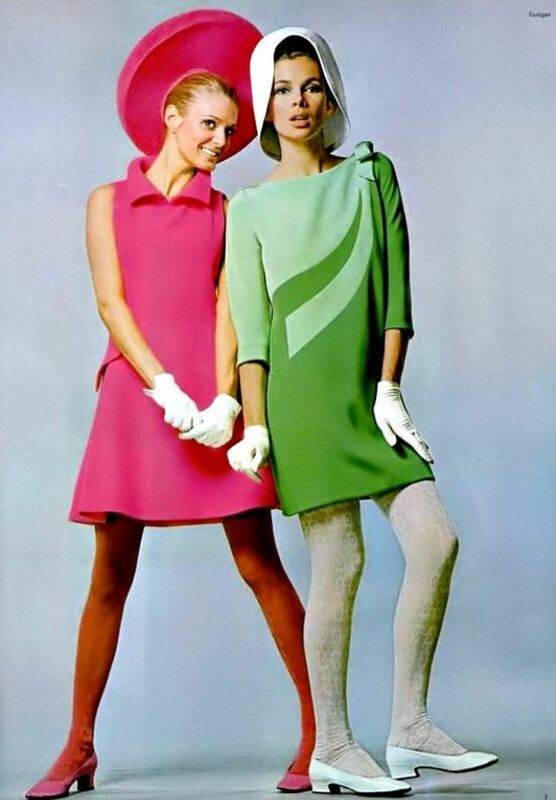 Pierre Cardin, born Pietro Cardin in 1922, is an Italian-born French fashion designer. 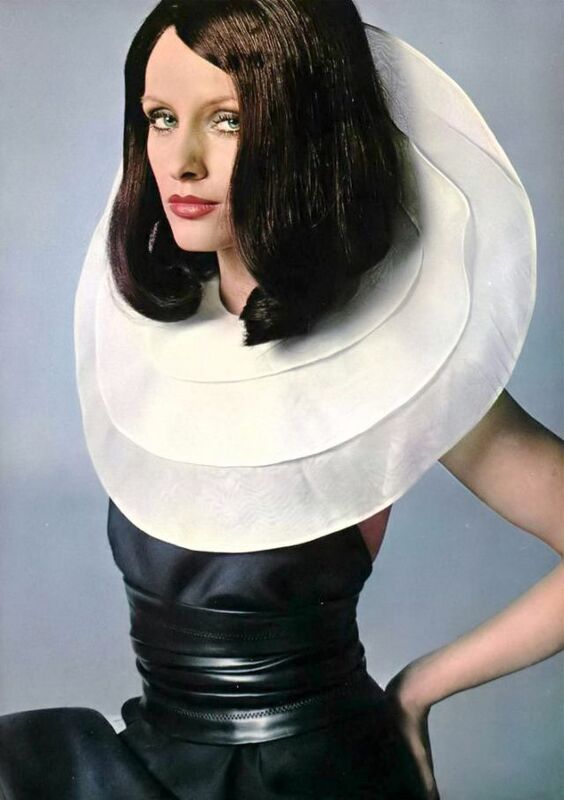 He is known for his avant-garde style and his Space Age designs. 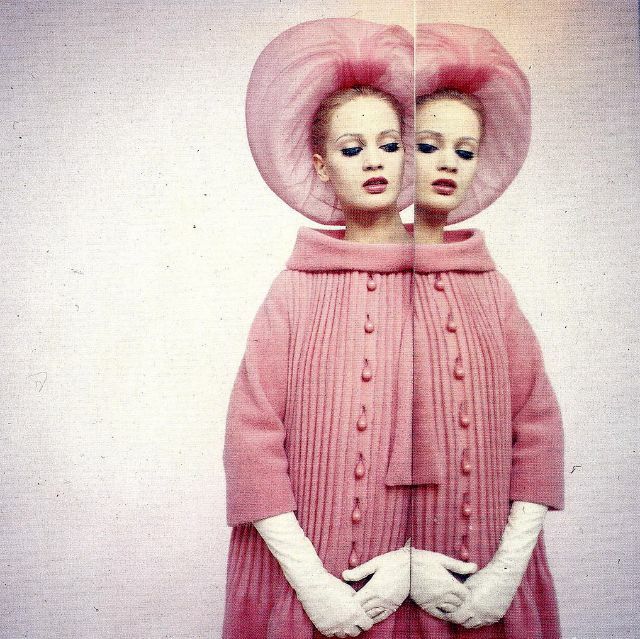 He prefers geometric shapes and motifs, often ignoring the female form. 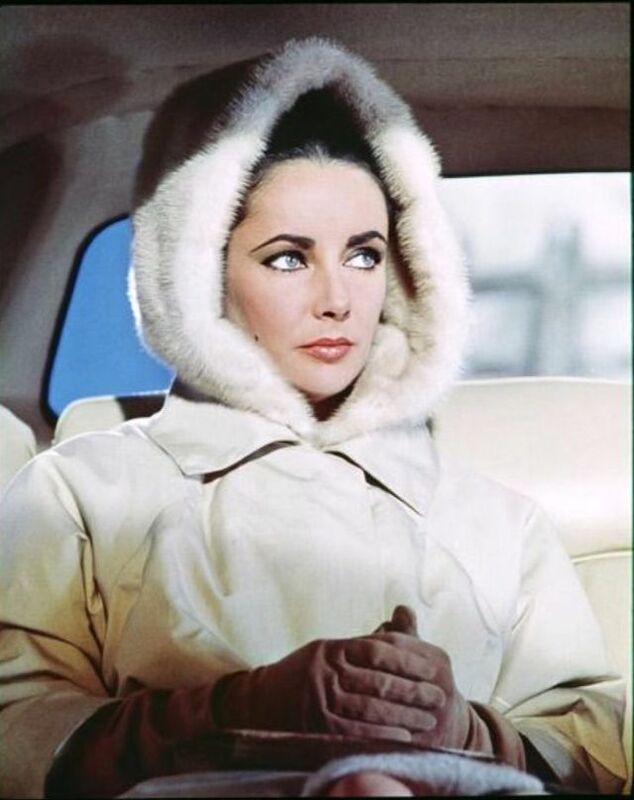 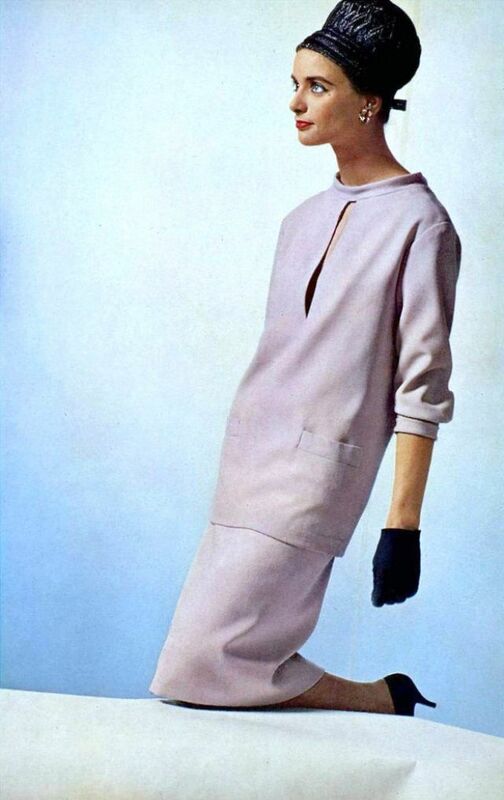 He advanced into unisex fashions, sometimes experimental, and not always practical. 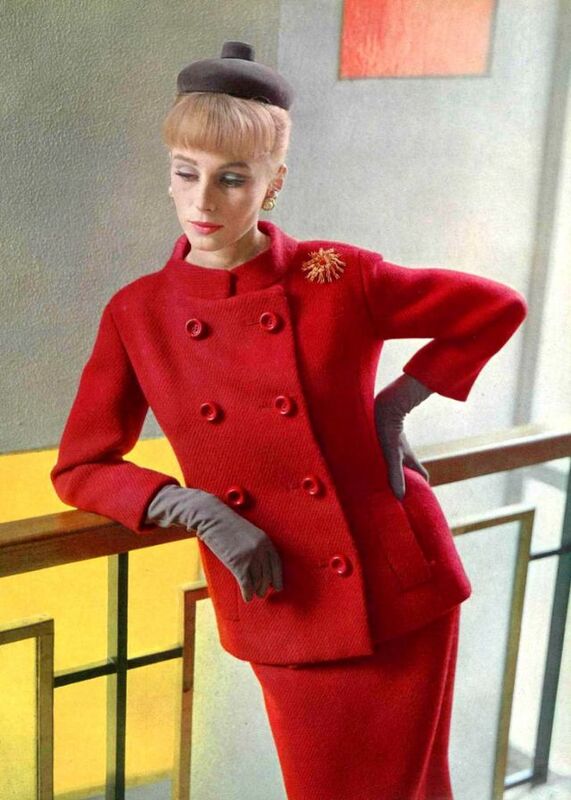 At age 17, Cardin went to Vichy to become a tailor at a men's shop. 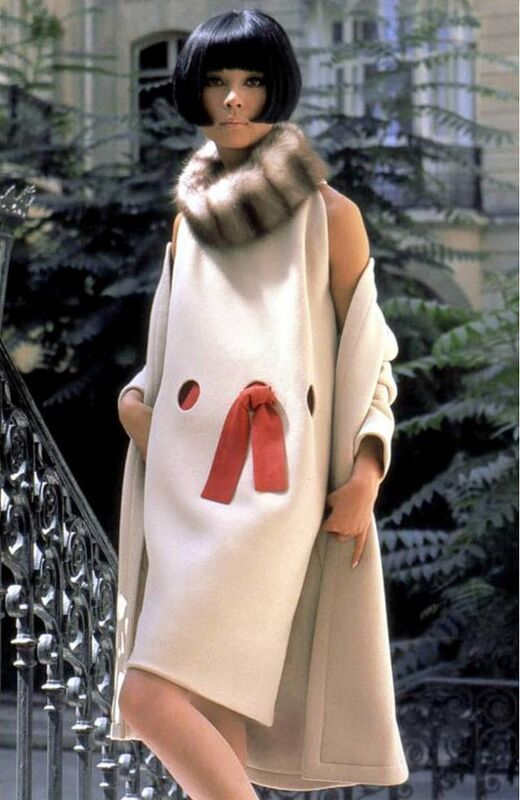 After World War II, he joined the Parisian fashion house of Paquin and designed the costumes for Jean Cocteau's film Beauty and the Beast (1945). 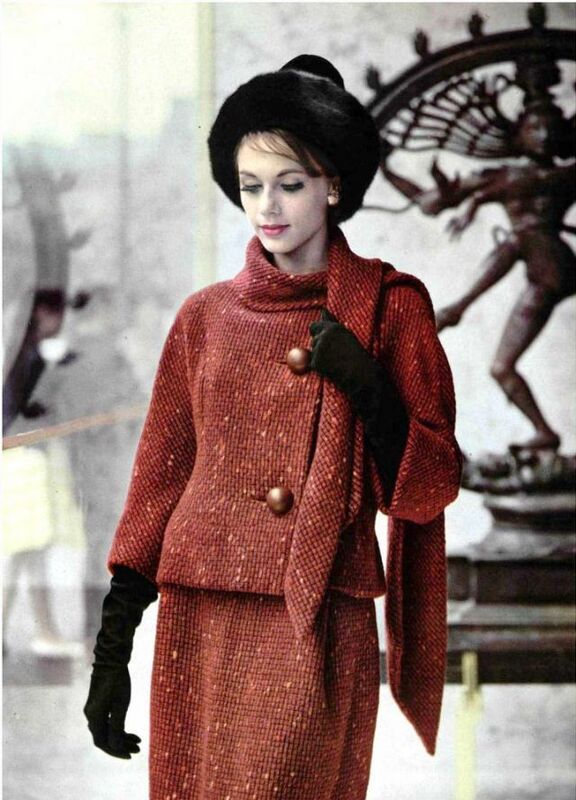 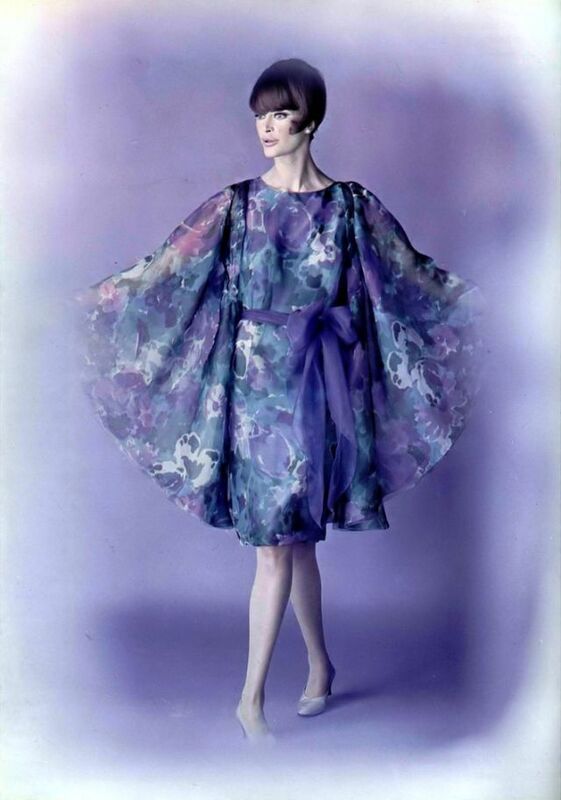 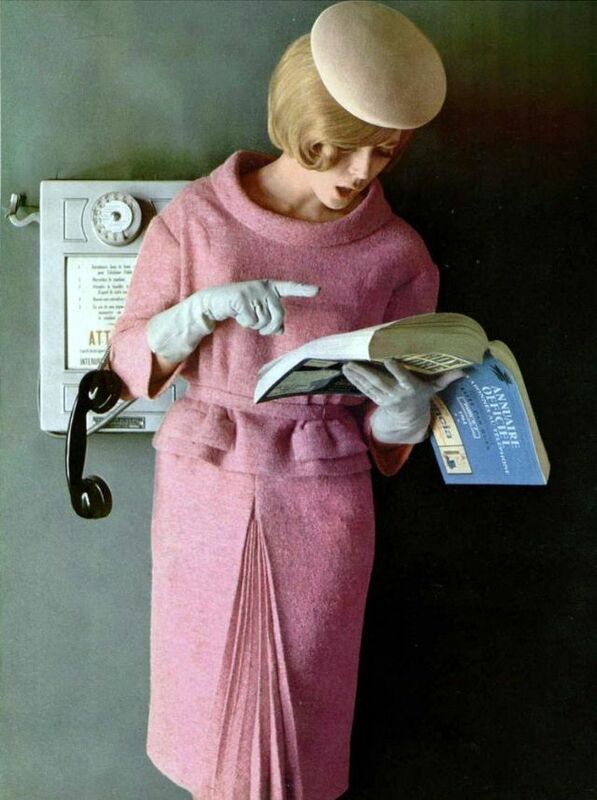 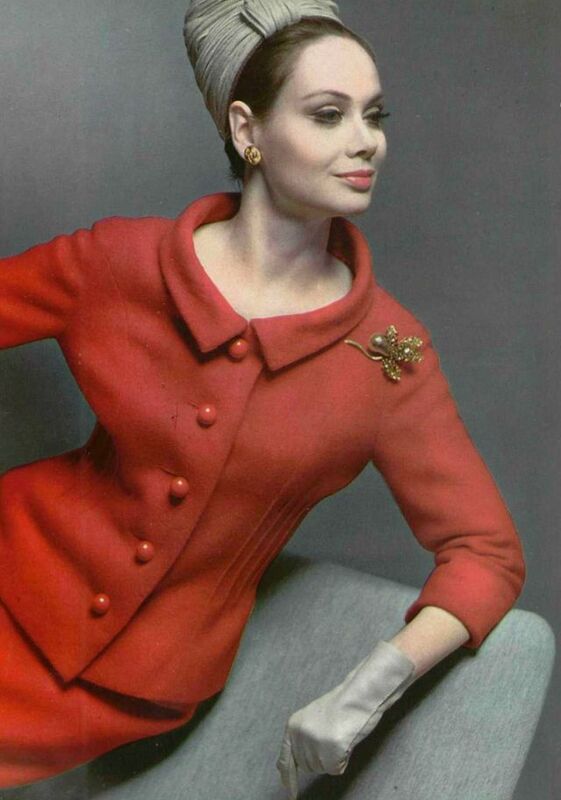 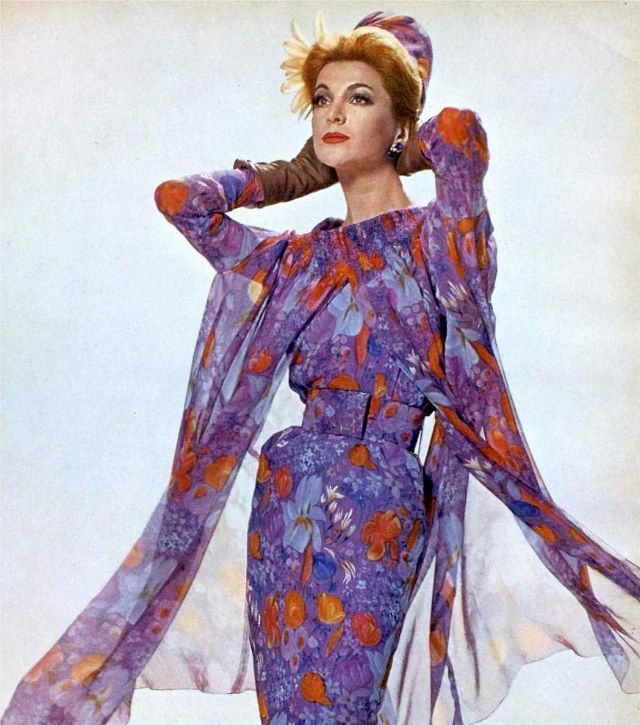 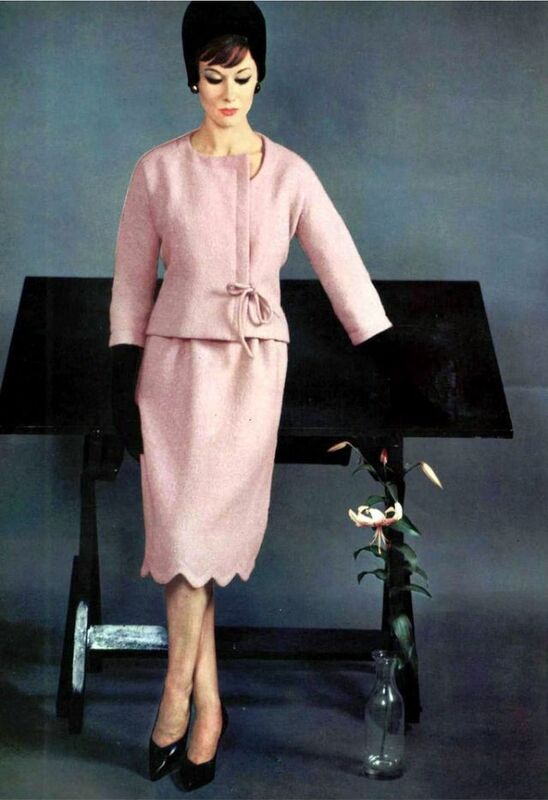 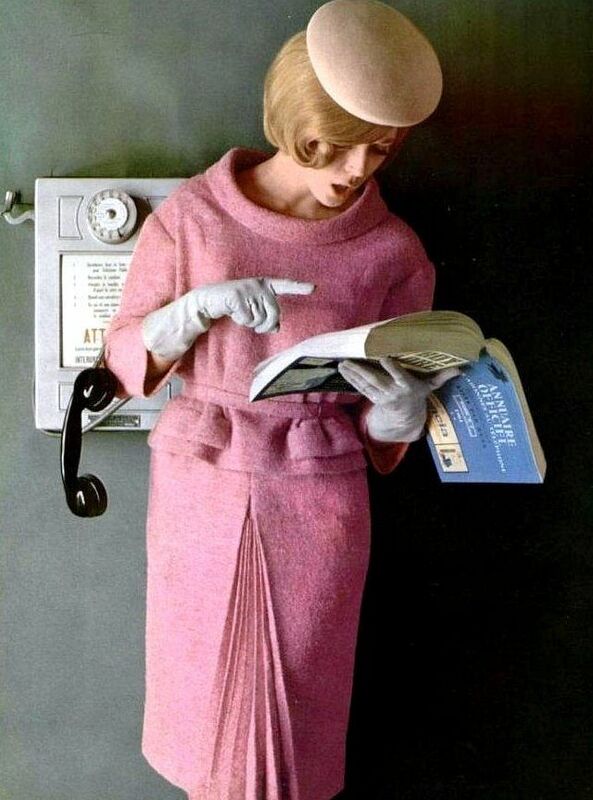 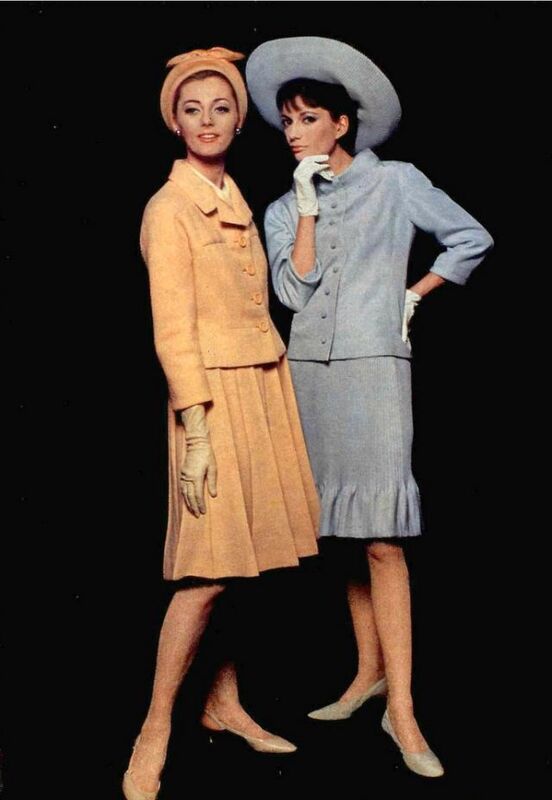 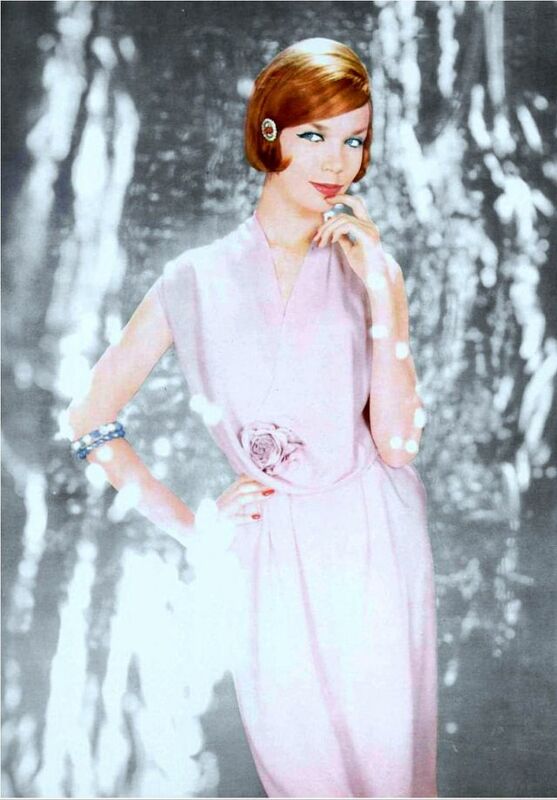 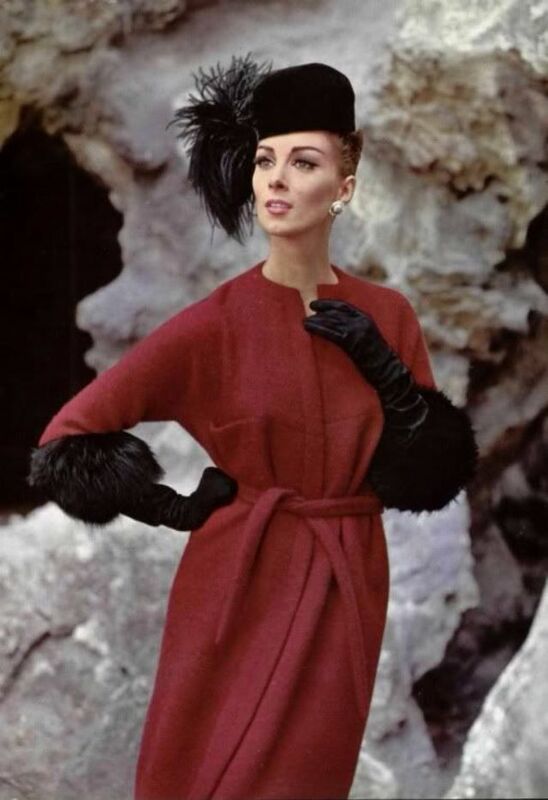 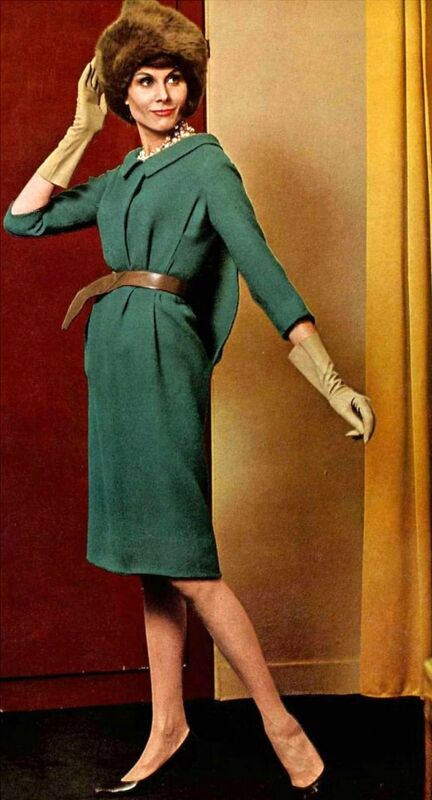 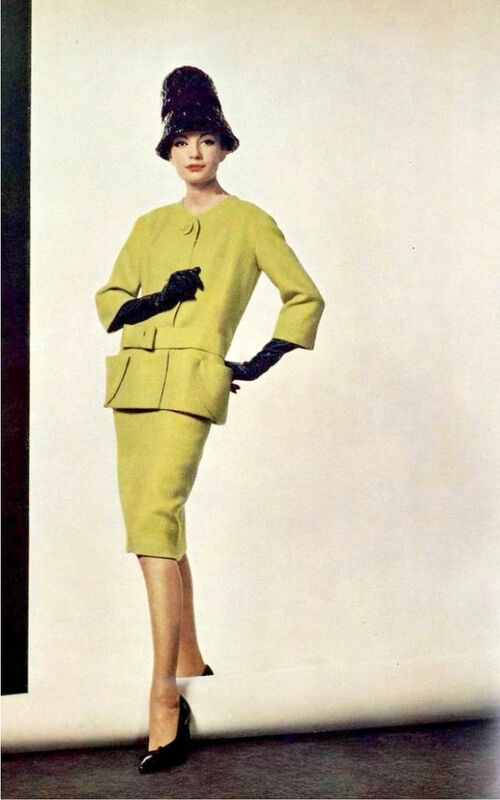 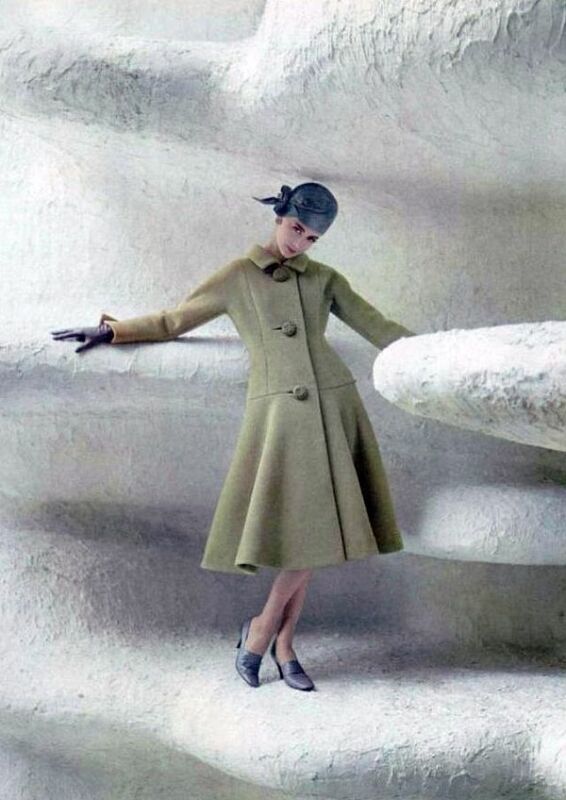 Cardin created the first ready-to-wear collection for women ever presented by a top designer in 1959, and introduced the first designer ready-to-wear collection for men in 1960. 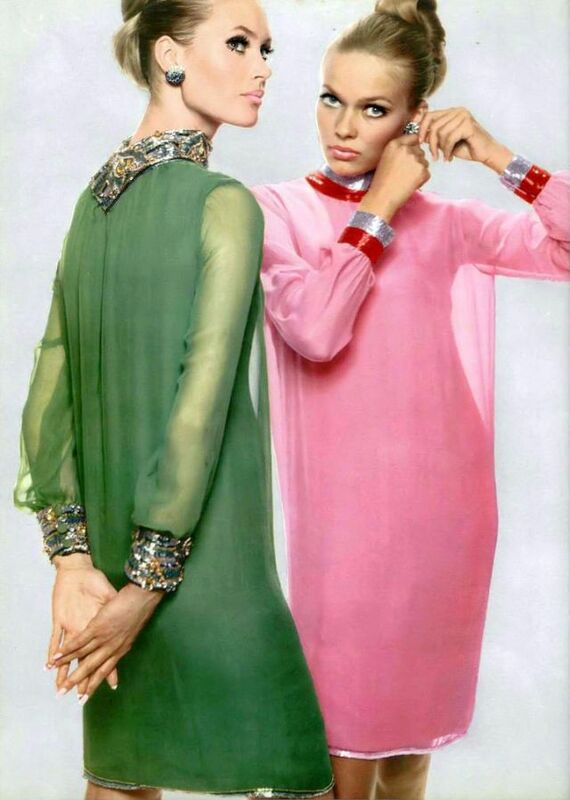 He showed himself a master of the bias cut, soft semifitted lines, and lavish colour. 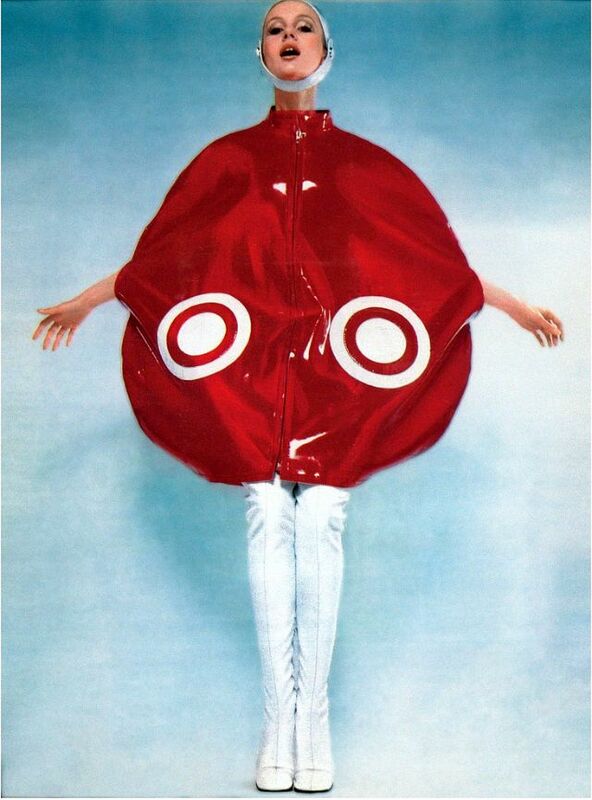 In the late 1960s, his stark, short tunics, and his use of vinyl, helmets, and goggles launched the Space Age look. 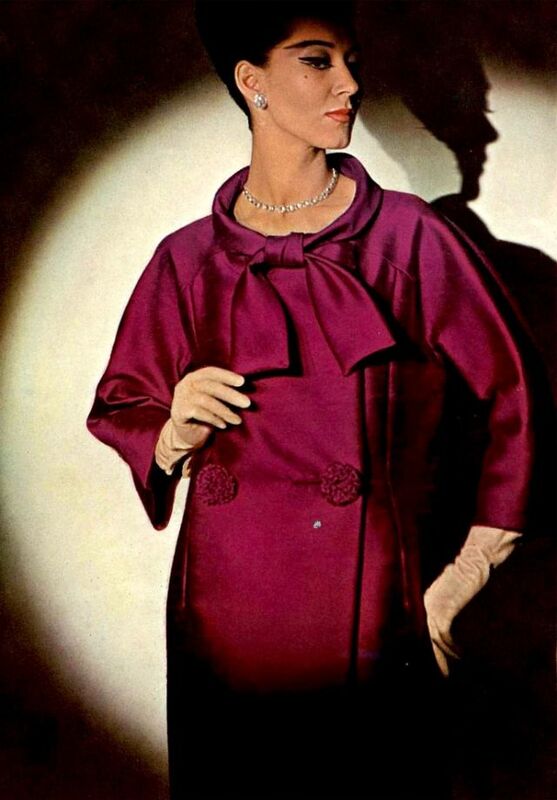 His men's clothing influenced other designers, including Bill Blass. 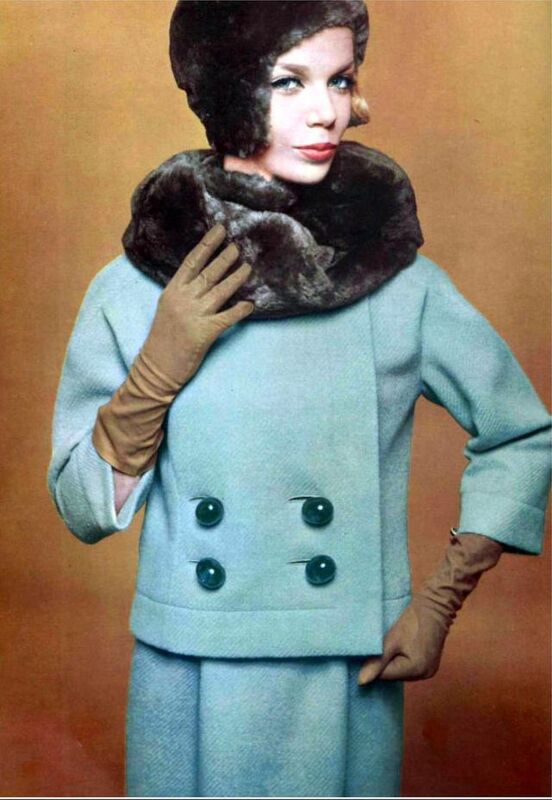 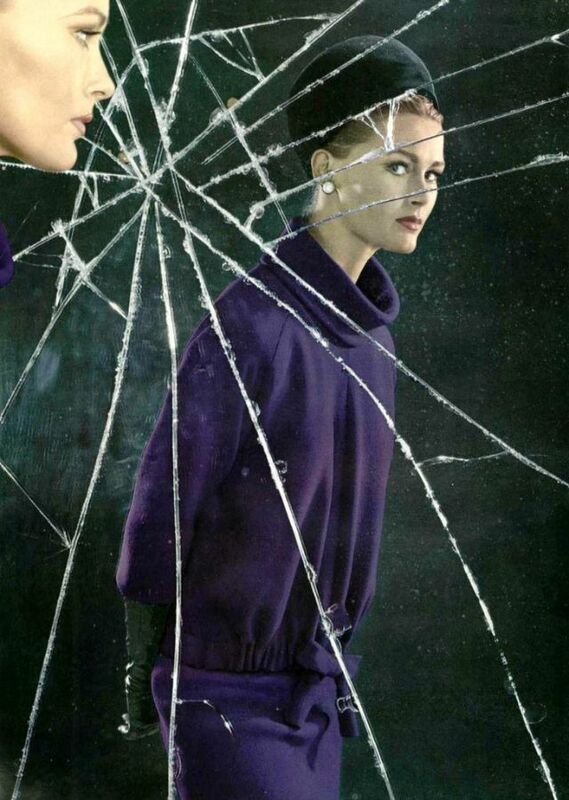 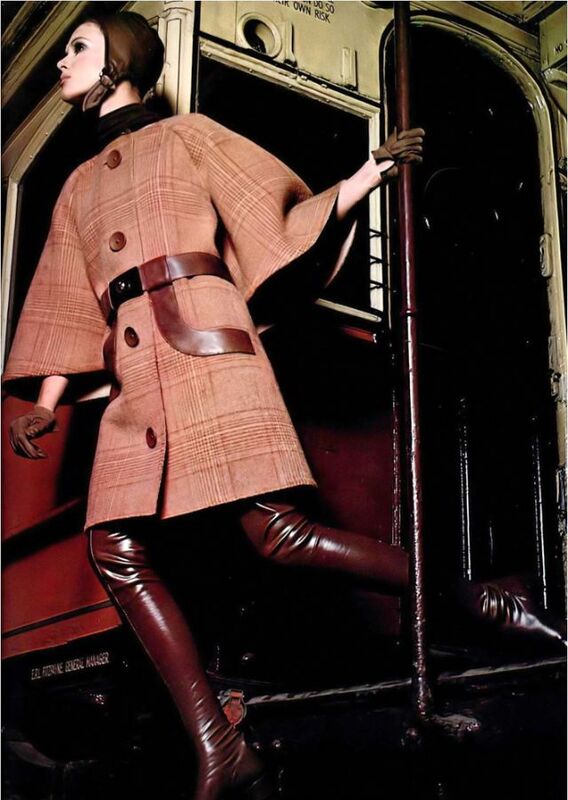 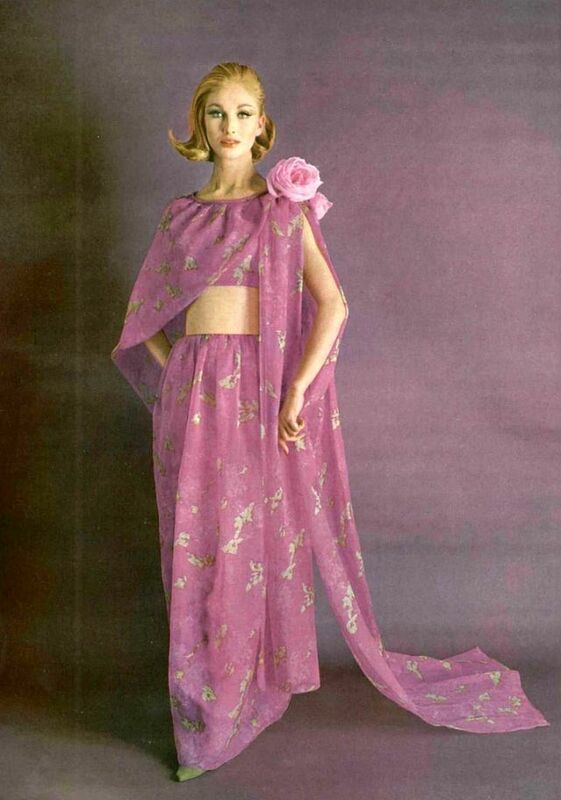 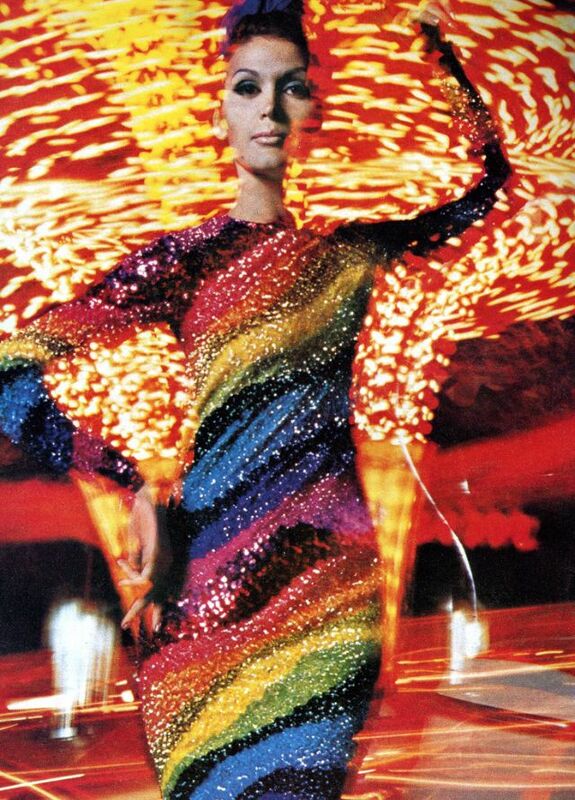 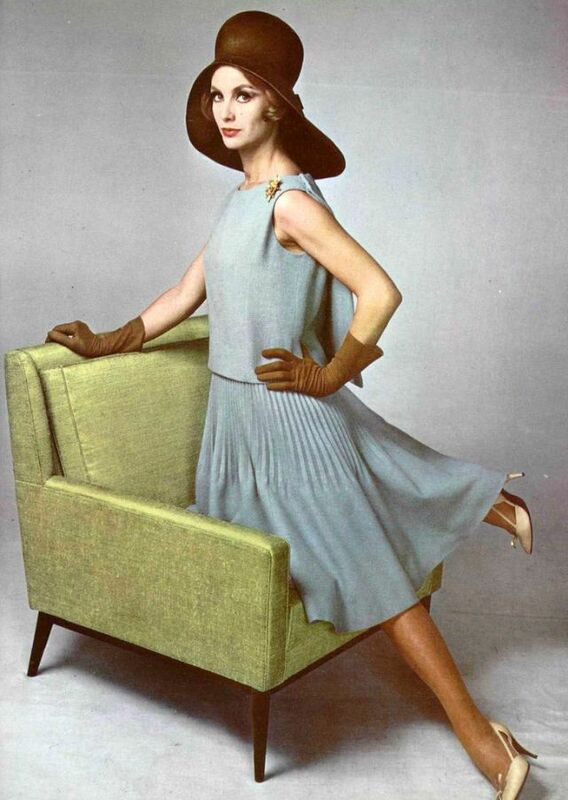 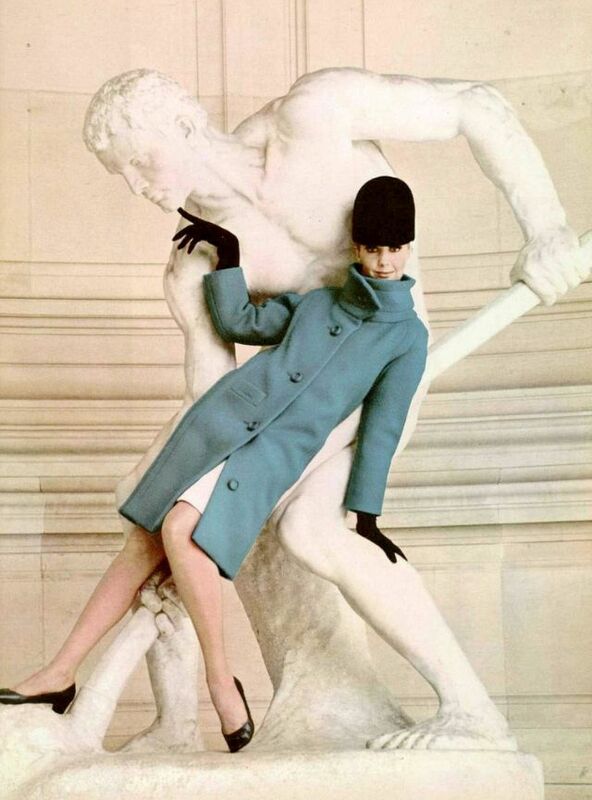 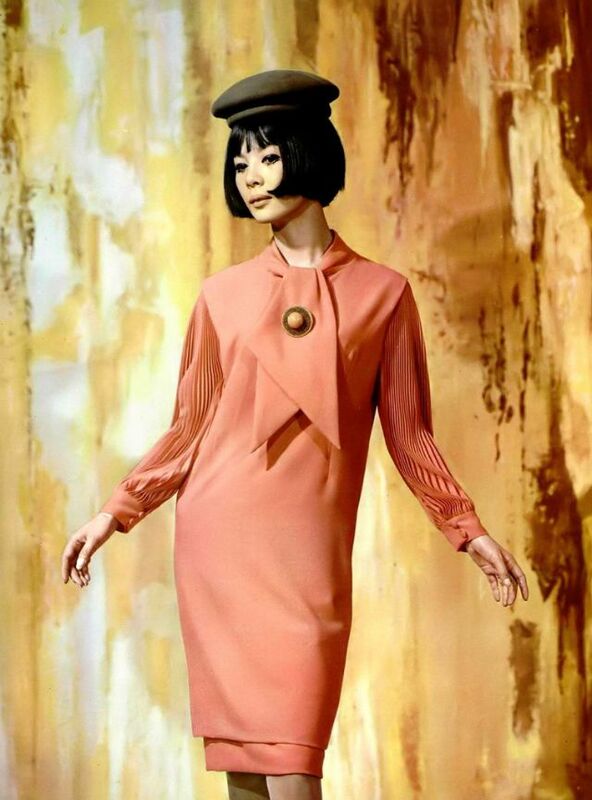 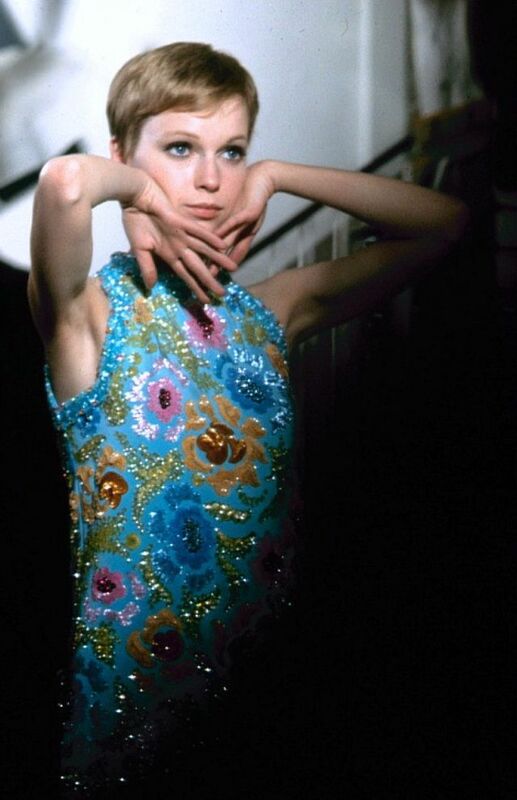 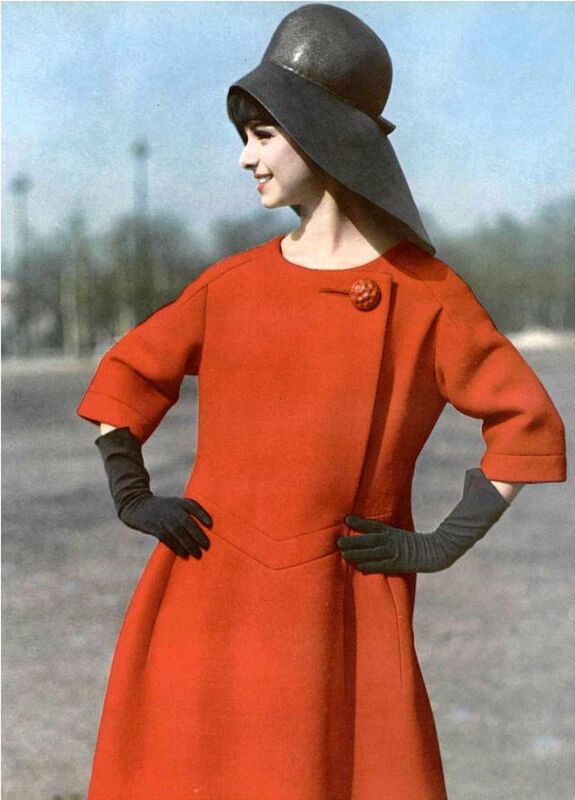 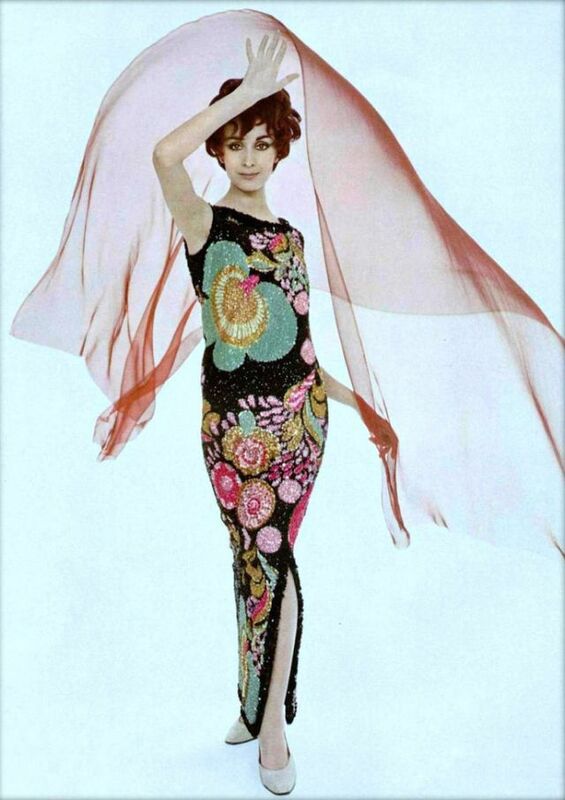 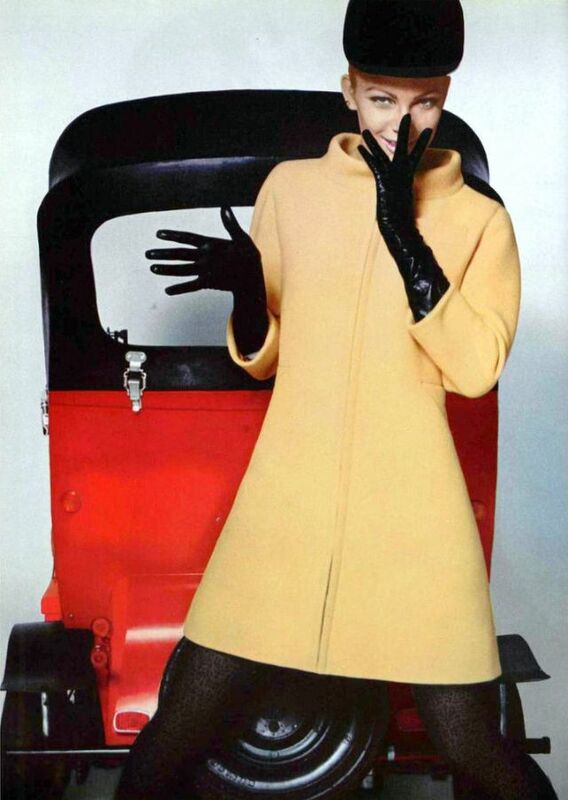 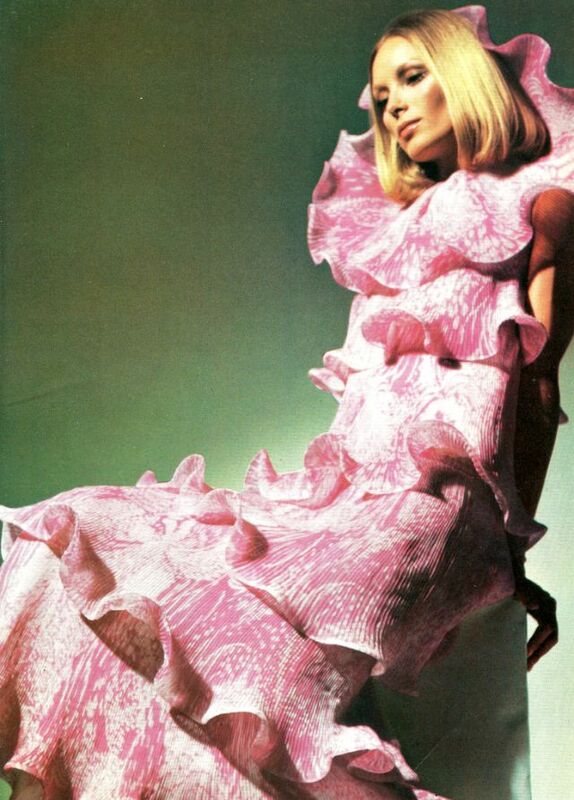 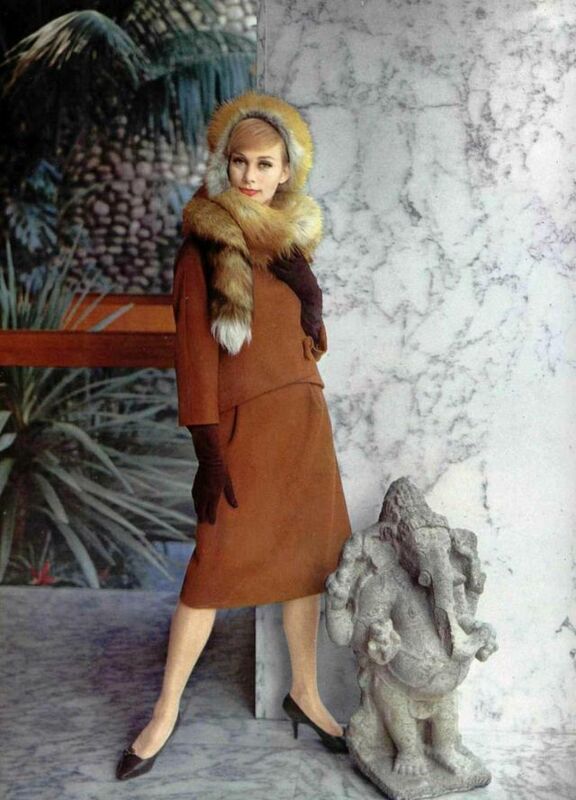 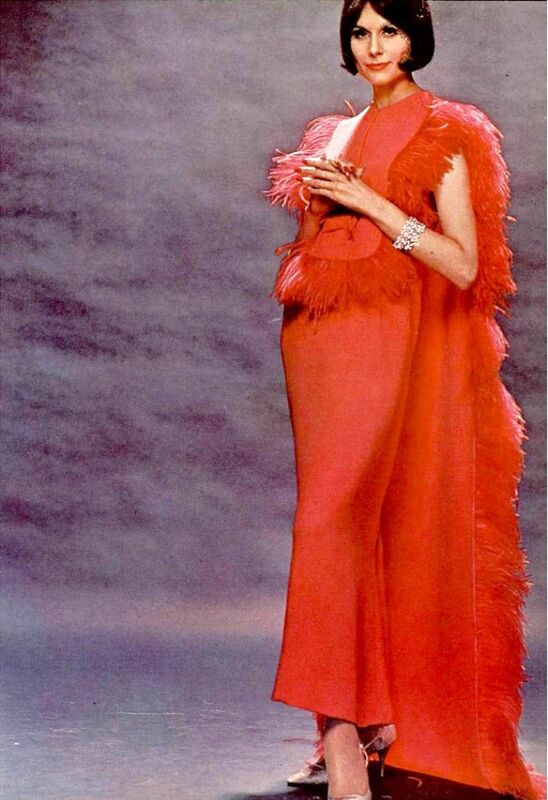 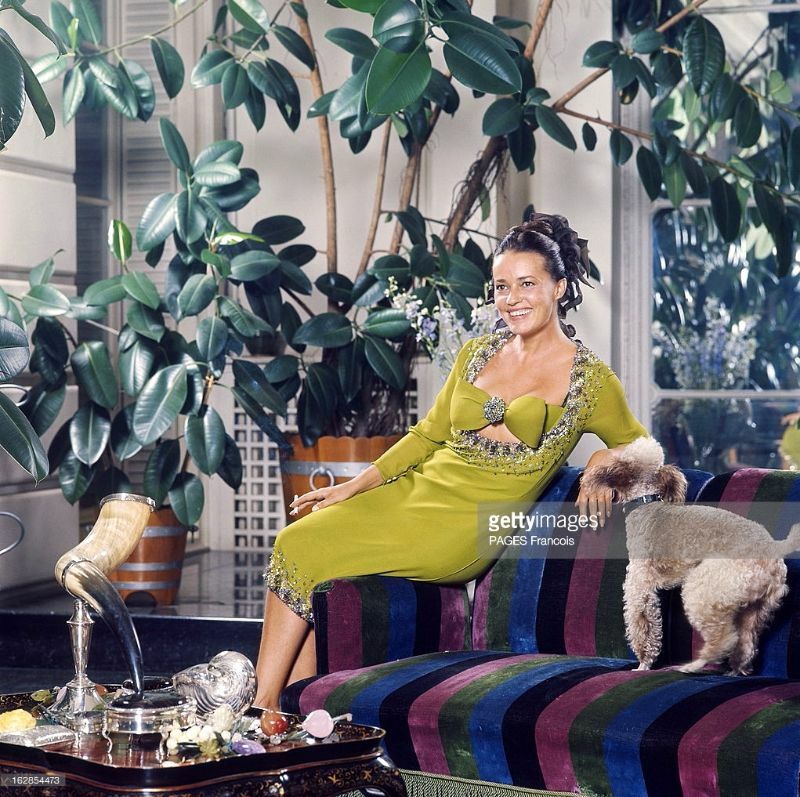 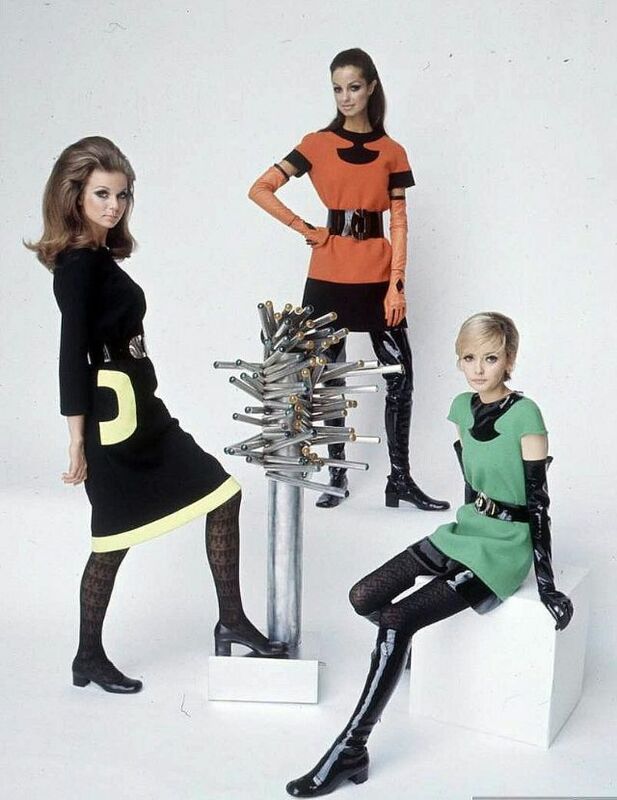 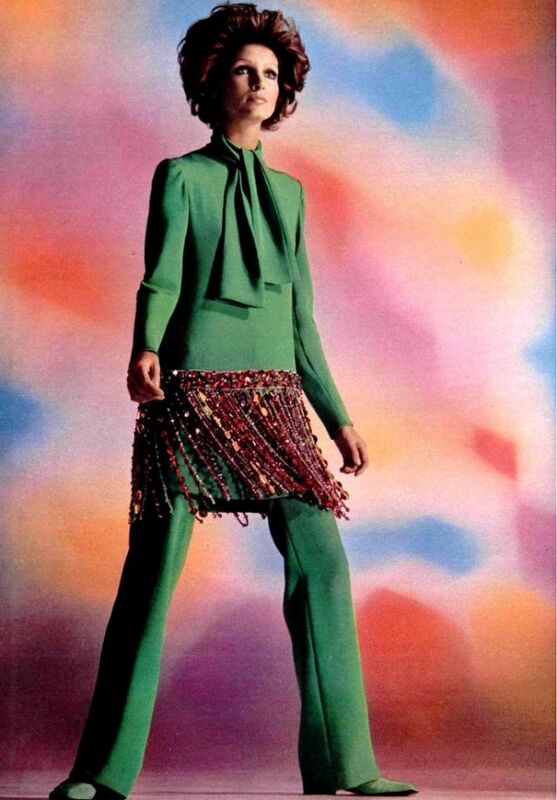 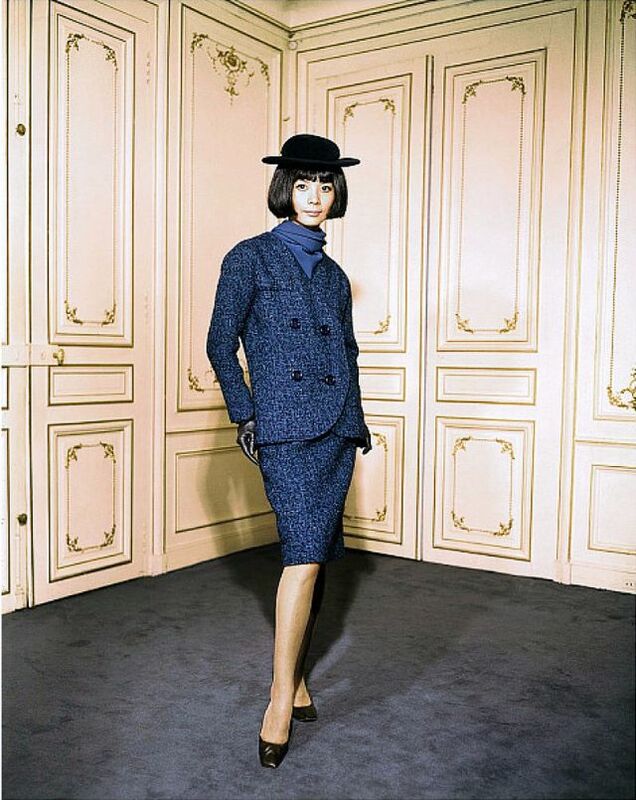 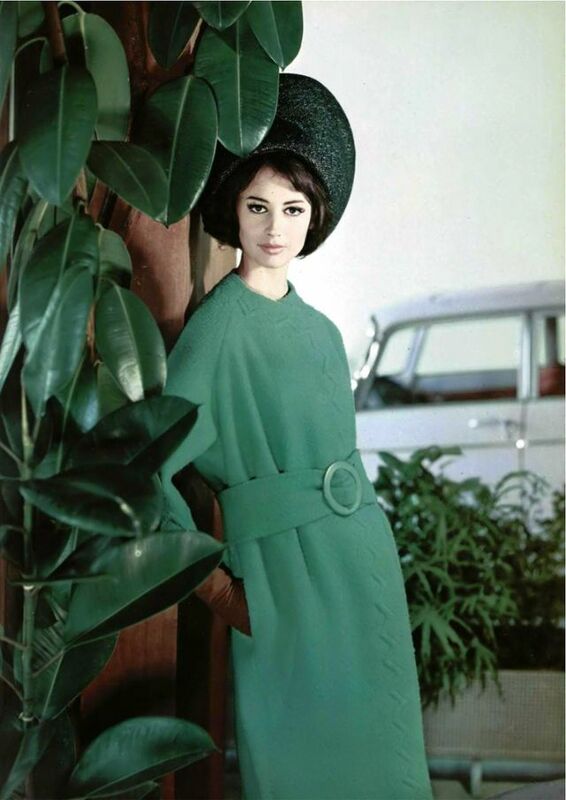 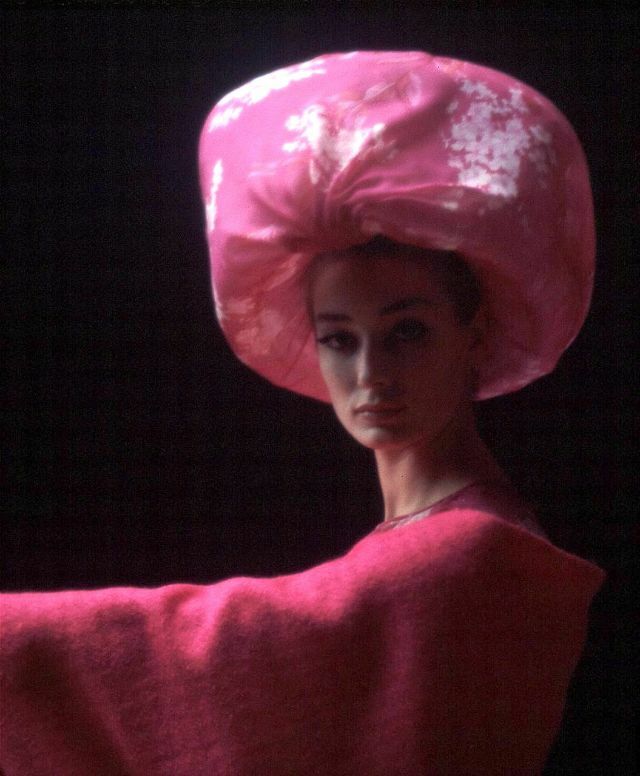 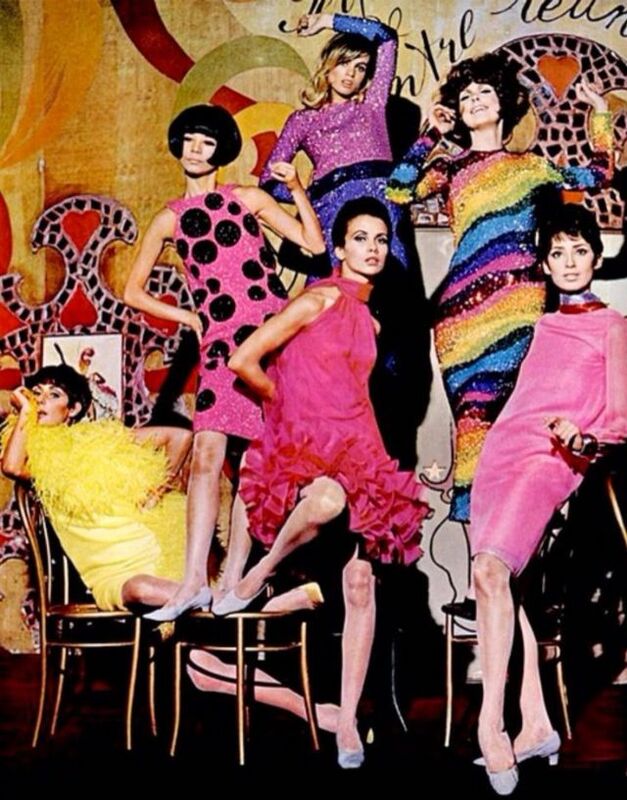 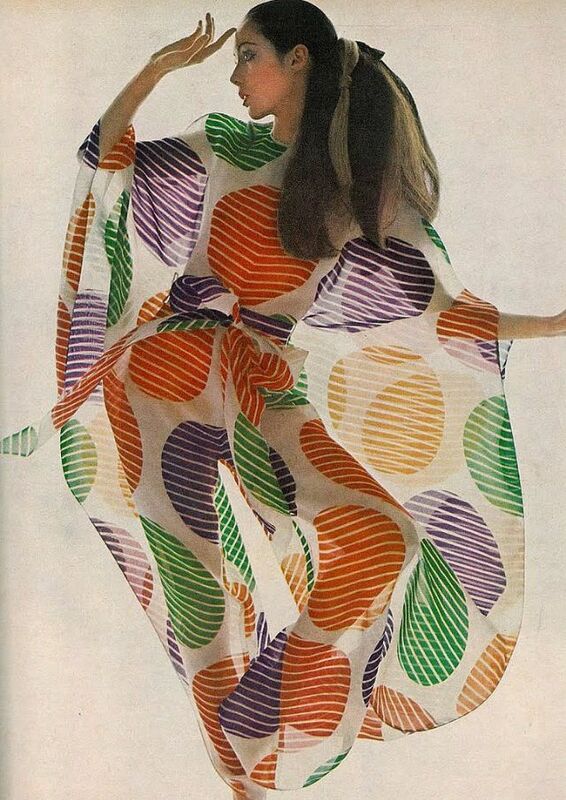 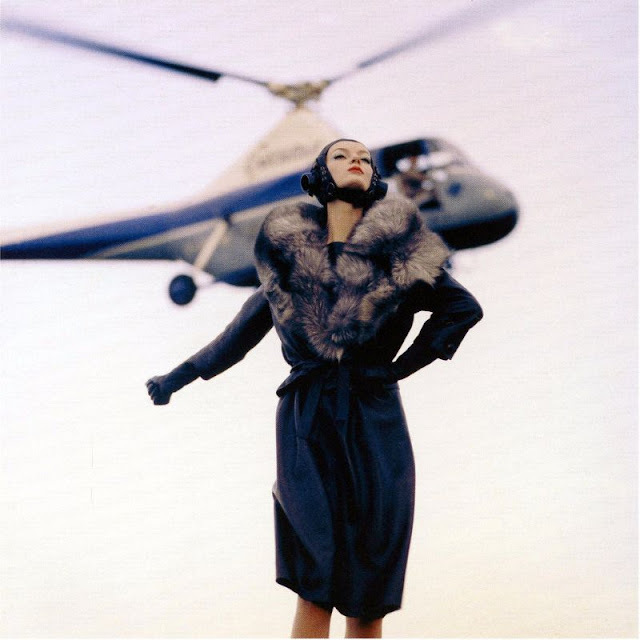 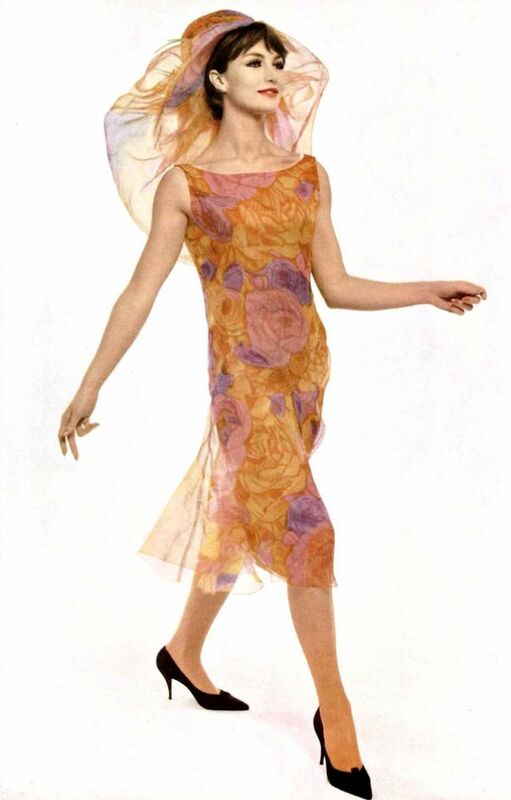 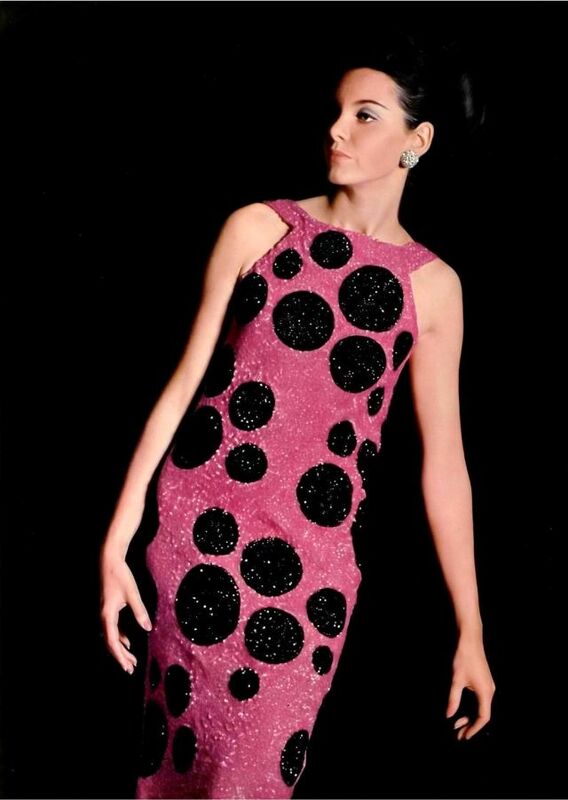 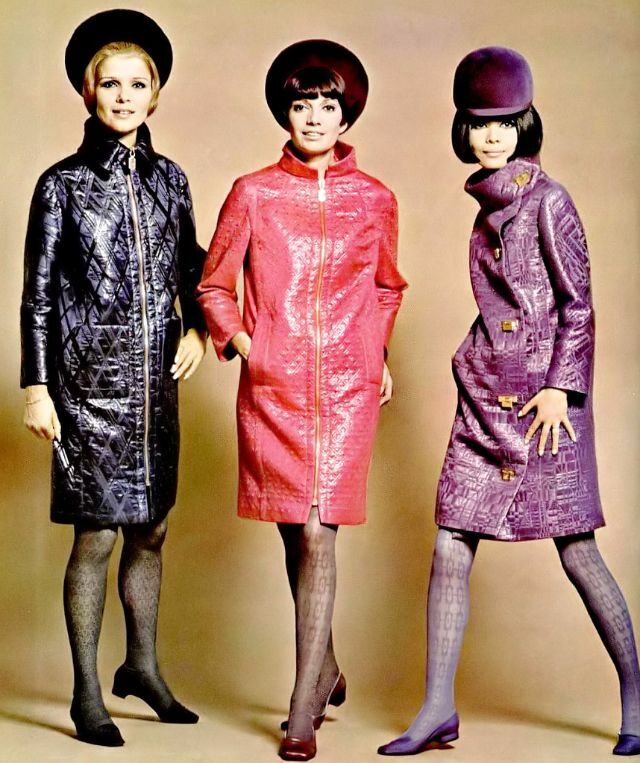 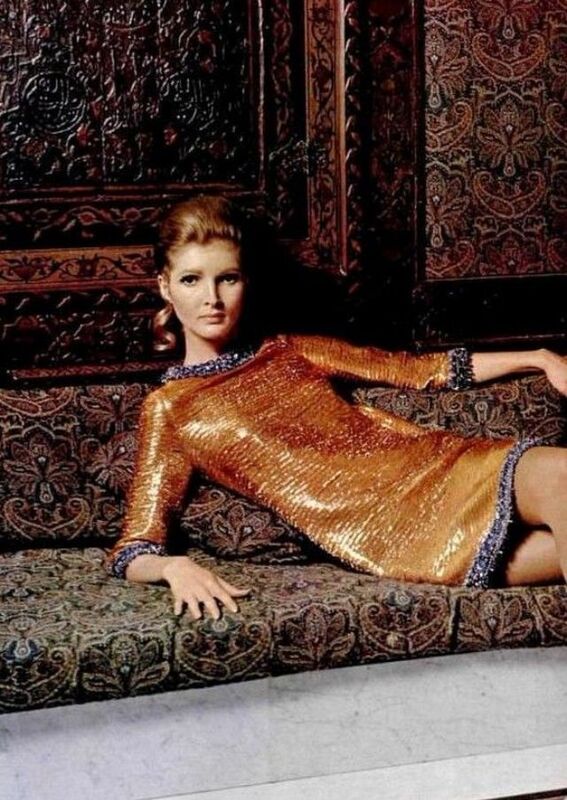 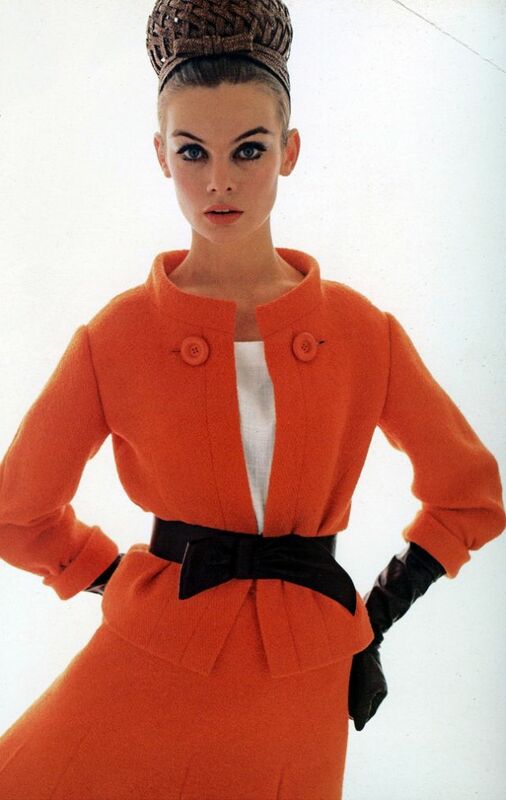 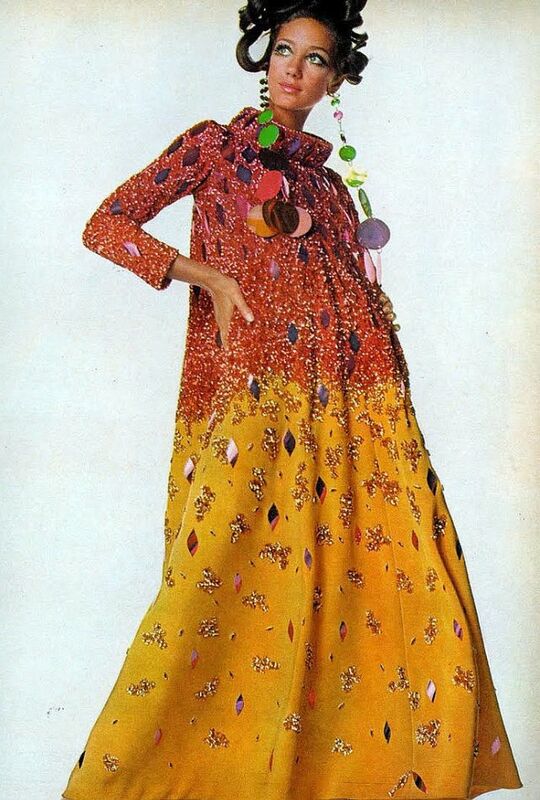 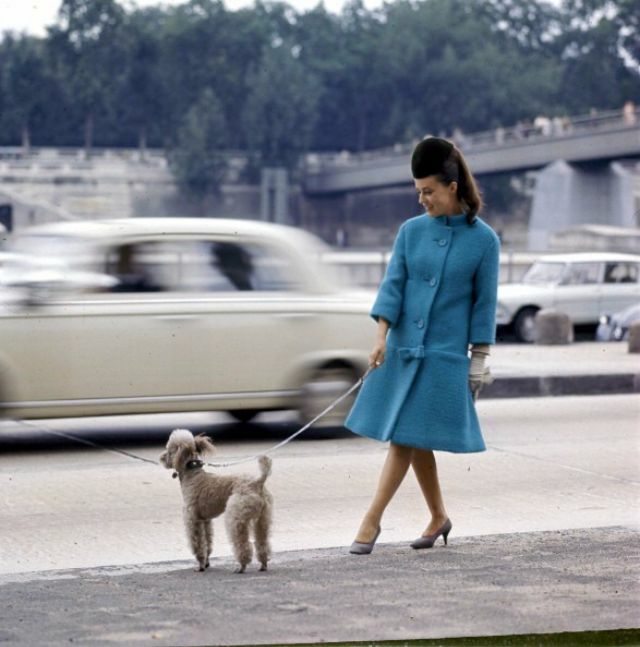 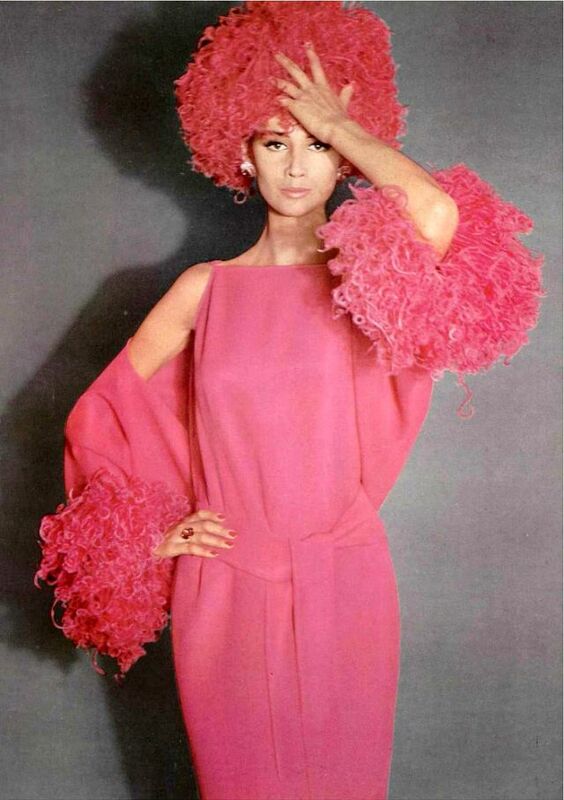 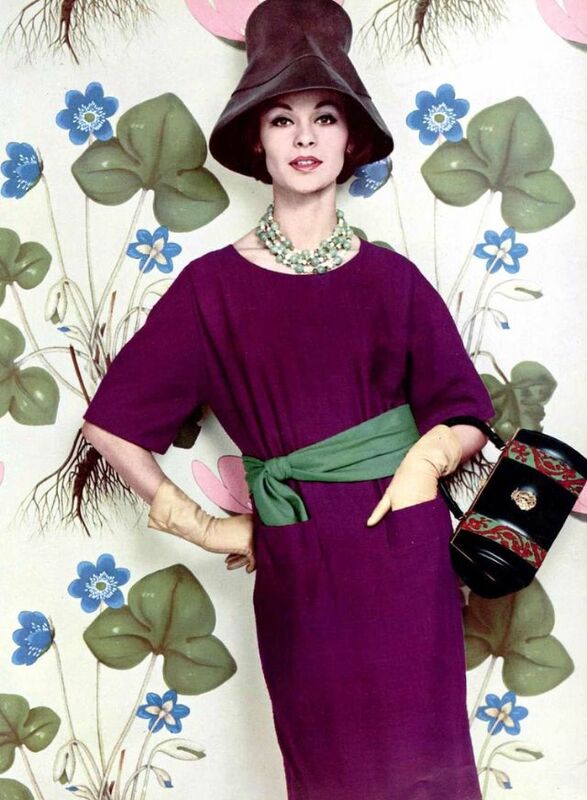 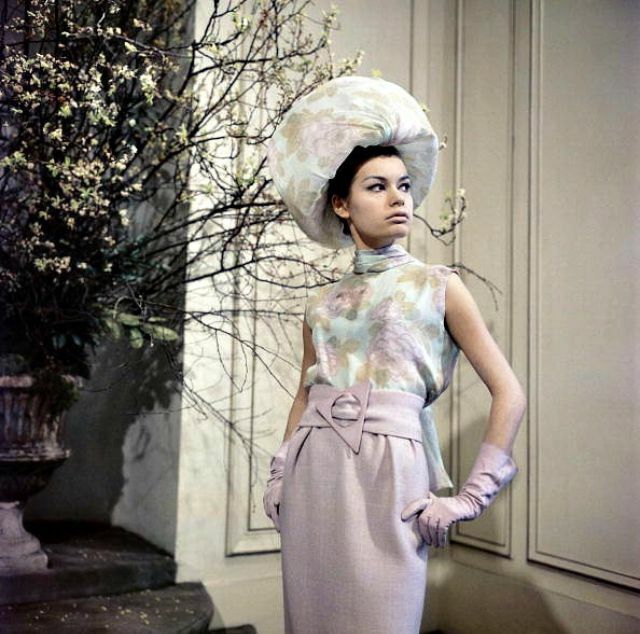 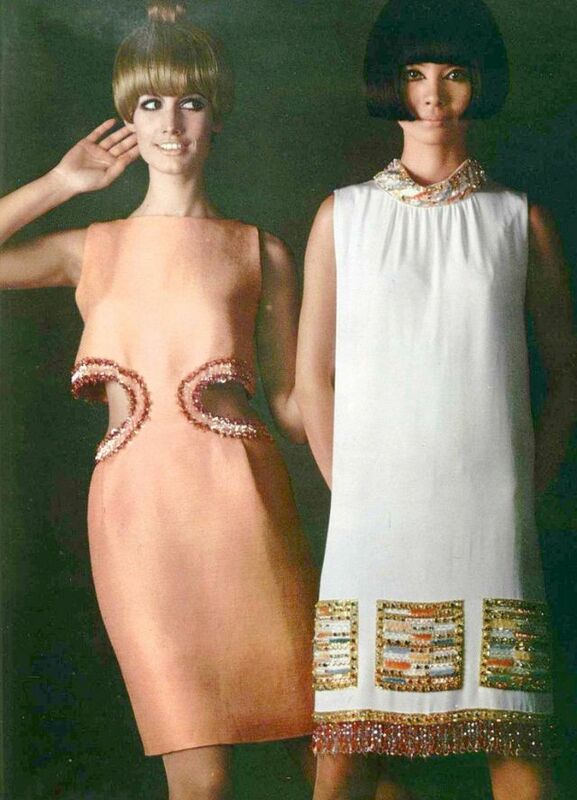 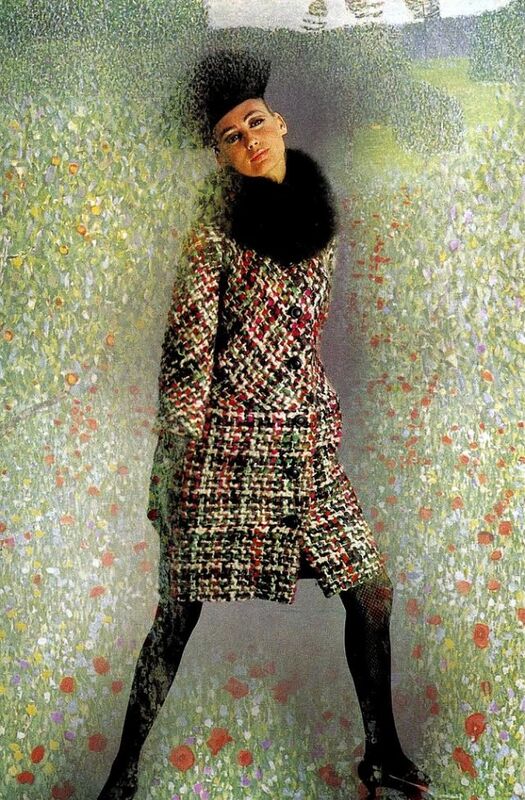 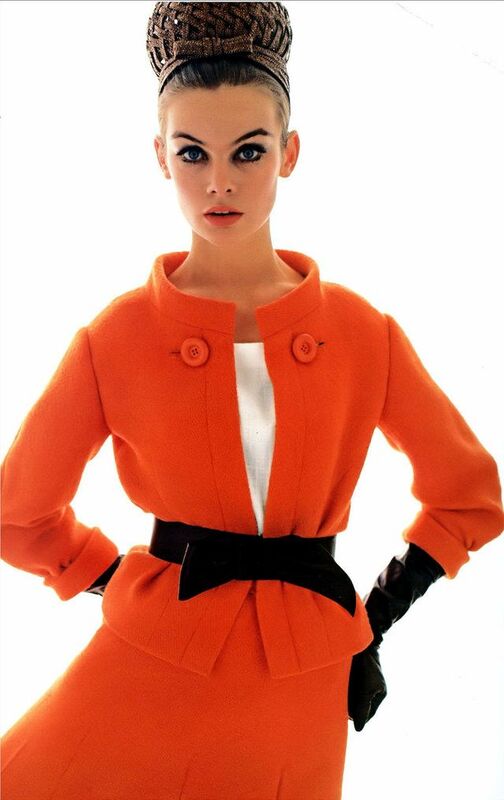 Here is a stunning photo collection that show women fashion by Pierre Cardin in the 1960s.